HGH (somatotropin) is a protein made up of a chain of 191 amino acids. It is one of the most abundant hormones secreted by the anterior lobe of the pituitary gland. Once released by the pituitary gland it is quickly taken in by the liver and converted into growth factors, the most important one being IGF-1. Growth factors are the messengers that carry the messages to the cells of the body. This communication regulates the growth of cells by telling them when to live and when to die. Cell reproduction slows unless the cells are prompted by the growth factors of HGH. During the growth and development stage of life human growth hormone, by way of its growth factors, is responsible for the rapid new cell growth that builds the body. If children don't have enough HGH they will be shorter than normal and may develop dwarfism. If they have too much they may develop gigantism. If these children are treated in time they have a great chance of achieving normal physical development. 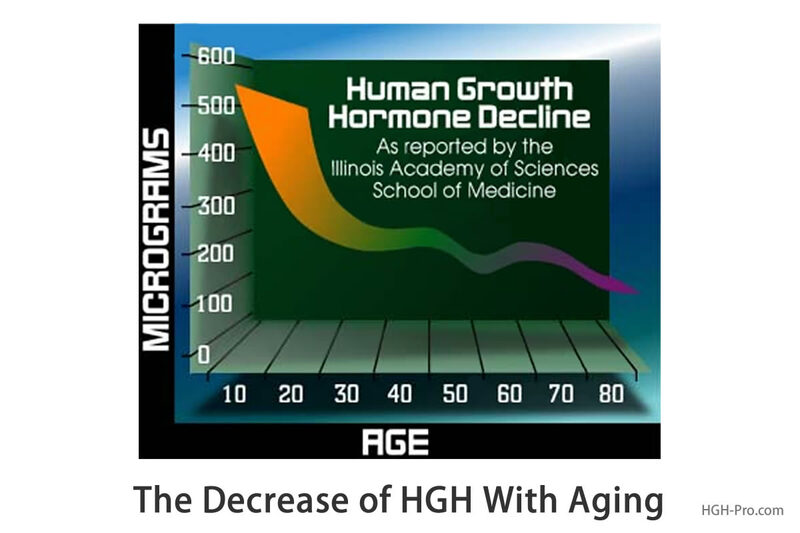 Once adulthood is reached HGH is still important in because it is our repair and rejuvenation hormone. Its growth factors, especially IGF-1 prompts the replacement of worn out and damaged cells. Healthy levels of human growth hormone are also needed to sustain a strong immune system, good muscle/fat ratio, sharp senses, healthy thought processes and memory, as well as libido and sexual function. Unfortunately, as age progresses the pituitary gland releases lower and lower amounts of HGH into the bloodstream for the body to use. Some researchers now have the opinion that aging may not be programmed into our genes. Dr. Rudman's research using elderly men supported the idea that many of the effects of aging may not only be slowed but may even be reversed. "In middle and late adulthood all people experience a series of progressive alterations in body compositions, including a loss of lean body mass, an increase in fat tissues, and atrophy of skeletal muscle, liver, kidney, spleen, skin, and bone. These structural changes have been considered unavoidable results of aging," they wrote. "It has recently been proposed, however, that reduced availability of HGH in late adulthood may contribute to such changes." "In other words, everything we associate with aging, from middle-aged spread to shrunken, bend-over, frail, doddering senescence, may be due wholly, or in part, to the decline of human growth hormone." Dr. Eve Van Cauter believes that we should not wait until our levels are very low to begin HGH therapy. She believes that people already have elderly levels of growth hormone by age 40, so it is much better to begin therapy at a younger age, before so much damage has been done. Once the pituitary gland releases its "squirts" of human growth hormone into the bloodstream it is only there for a couple of minutes. It is taken in by the liver which causes the liver to release growth factors, including the important growth factor called IGF-1 (insulin-like growth factor-1). In fact, most of the benefits associated with HGH are actually brought about as a result of IGF-1. Since HGH remains in the blood for such a short time in order to measure it directly a stimulation test must be done, which is a long, involved and risky process. Because IGF-1 is more stable in the bloodstream and can accurately reflect the amount of HGH in the body it is usually the preferred method of measuring growth hormone in adults. 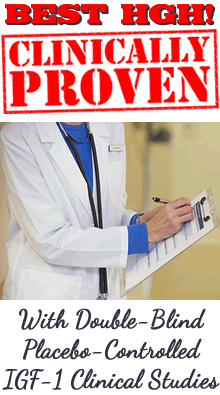 IGF-1 is a blood test your doctor can order or you may order online and do it at home. Click below to see the IGF-1 levels that are considered normal for age. Keep in mind however, we advocates of anti-aging medicine believe that normal for age is not the same as optimum for health. *Excerpts from the book Grow Young With HGH , by Ronald Klatz, MD, DO.